In the suburbs, life moves at a slower pace; routine is valued and gossip fuels the local news. 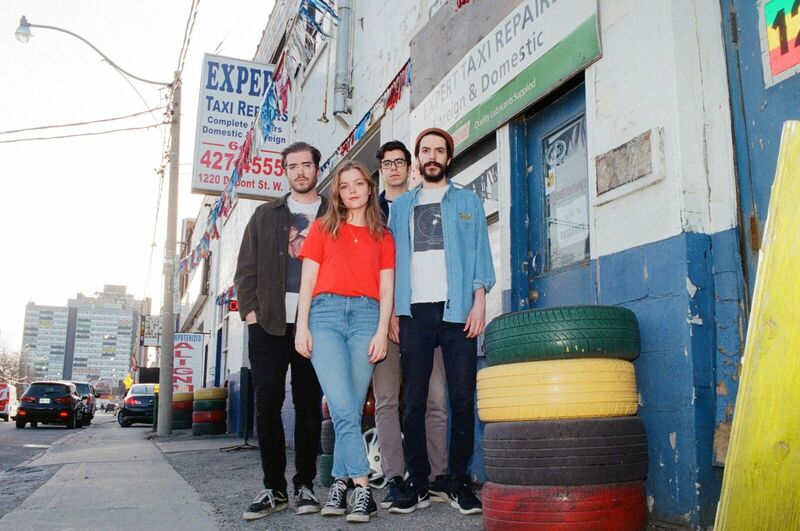 Dizzy — three brothers Alex (guitar), Mackenzie (bass), and Charlie (drums) Spencer, with his close friend since 9th grade math class, Katie Munshaw (vocals) — are a band from Oshawa, Ontario who make music to combat the anxieties of this provincial ennui. 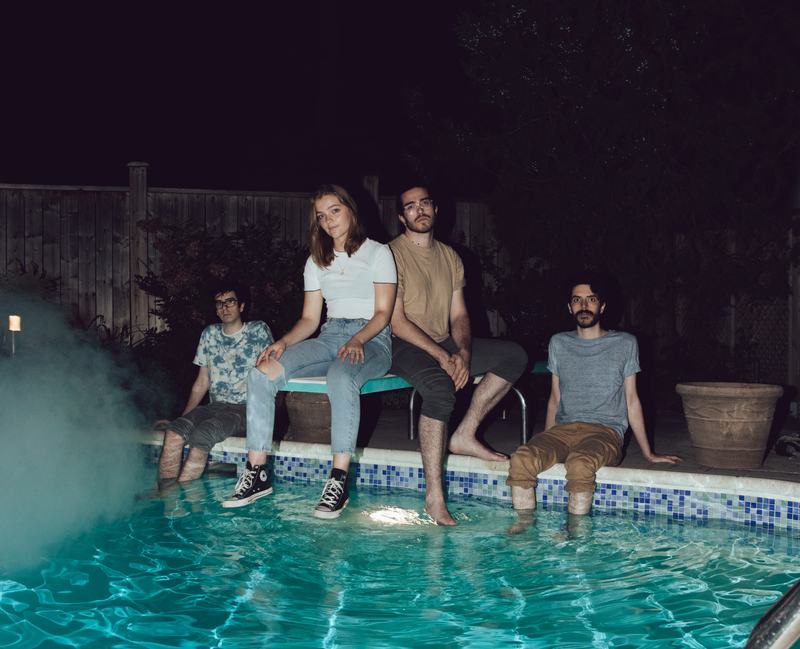 Dizzy have supported acts like Tei Shi, Bleachers, and Milk & Bone on recent live dates, but like most small-town millennials, the members went to high school basement parties, scraped their knees, fell in love, and felt insecure. 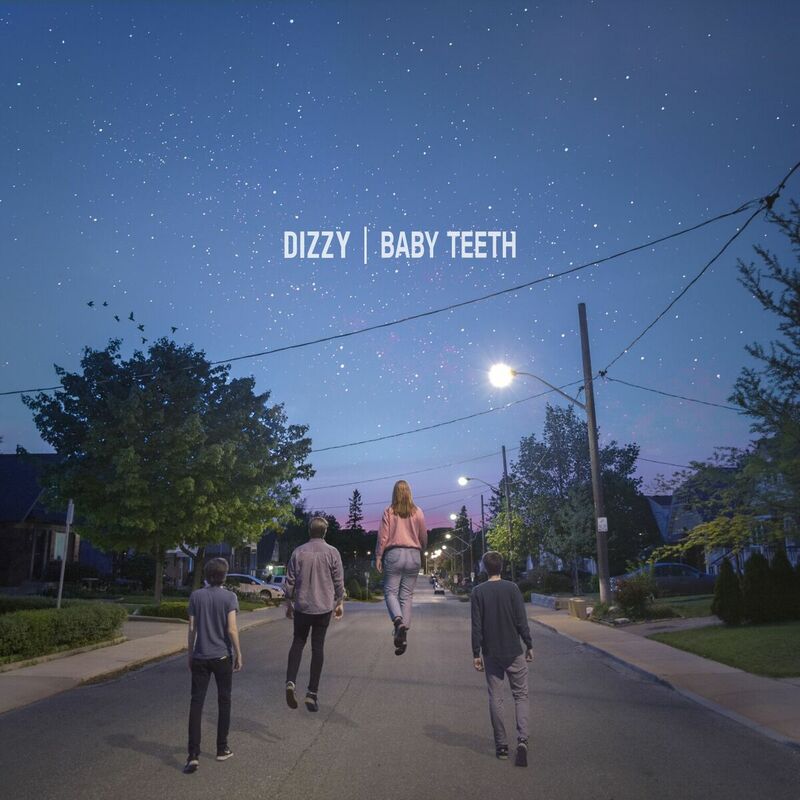 Unlike most of their peers, though, Dizzy ditched the routine high school to college to 9 to 5 trajectory to create story-songs out of their coming of age. For the Spencer brothers, making music seemed fated—thanks in large part to parents who put instruments in their hands at an early age. 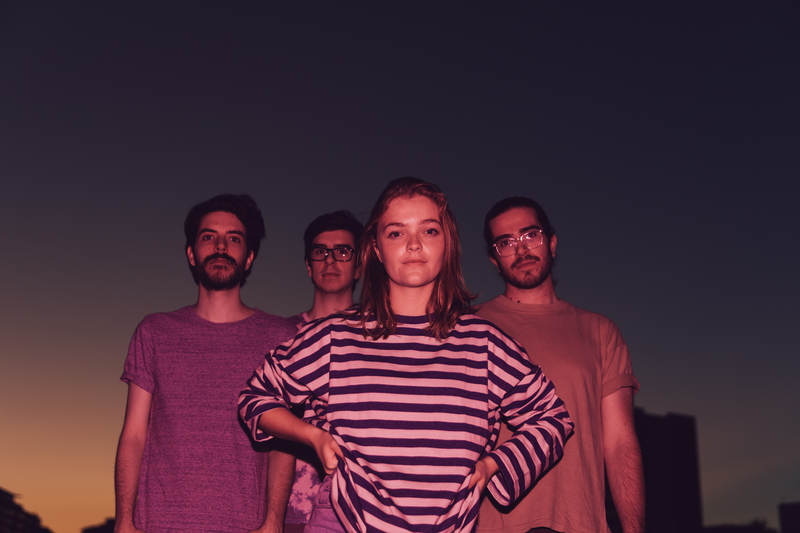 “They always encouraged us to learn the way we wanted to, whether that was by taking lessons or just learning songs we liked by listening to them,” Charlie recalls. 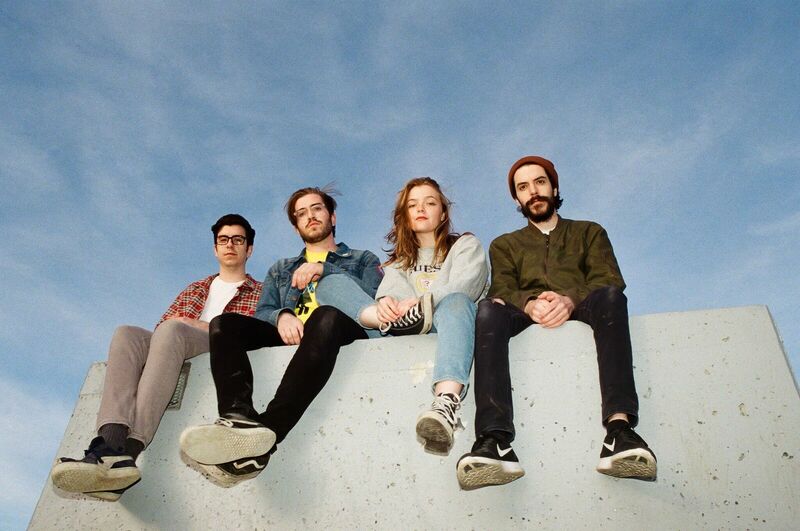 Suburban boredom was another driving force behind their interest in music, and once they found a kindred spirit in Munshaw, the band began to take shape. Munshaw describes Dizzy’s debut as a collection of little capsulated memories she takes out of her brain to compare wounds with listeners. “Joshua” tells an instantly familiar tale of maddening puppy love and the unbearable heartbreak that comes with it. 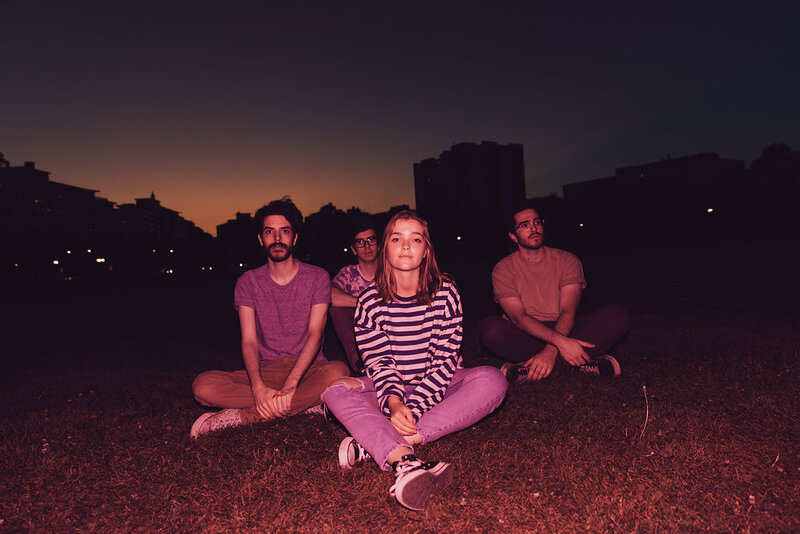 The frontwoman says the track serves as “a reminder that as blistering as that part of my life was, music, friends, and the night time were a balm for my sadness.” Infatuation also informs “Pretty Thing,” an up-tempo track that captures the nostalgia of an anxious endorphin rush from flirting with a high school crush. “Backstroke” is a mediation on maintaining your singular identity when you’re half of a couple at a young and impressionable age. But like all of Dizzy’s songs, it comes with the quiet promise that everything will be okay.